Members of the commercial AV industry are joining together in a grassroots effort called TEAM—or Tell Everyone Awareness Matters—to raise awareness of the positive impact healthcare and lifestyle choices can make in reducing risks of serious disease. 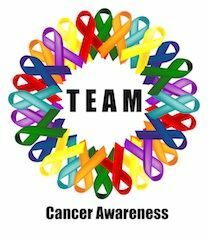 Founding members Juice Goose, Community Professional Loudspeakers, HP Marketing (Colorado), and Women in AV (WAVE) invite you to join in TEAM Cancer Awareness. TEAM focuses on education and communication—its primary mission is to raise awareness, provide information, and influence healthy lifestyle choices. TEAM encourages all those within the commercial systems market, including AV manufacturers, distributors, sales representatives, integrators, resellers, end users, and related organizations, to join the awareness effort by showing support via the Facebook page (facebook.com/teamawareness) and by encouraging proper lifestyle and healthcare choices among their professional contacts, associates, family and friends.